It was reported 26 April 2017 that China had put troops along its border with North Korea on high alert as fears of imminent conflict mounted. Chinese troops stationed along the border with North Korea have been placed on high alert, according to Japanese daily newspaper Yomiuri Shimbun. The People's Liberation Army has three stages of alertness, and this is the middle stage. Beijing activates it when a "direct military threat" is detected. Soldiers are prepared for combat and are forbidden from taking leave. The order came down in mid-April, and China has moved 150,000 soldiers to guard the border – or to potentially invade the Hermit Kingdom themselves, if they feel the need. Sim Tack, a North Korea expert with geopolitical analysis firm Stratfor, called the Chinese movements an attempt to minimize American involvement on the peninsula. Chinese forces are keeping their standard operational readiness and conducting normal training along the border between China and the Democratic People's Republic of Korea (DPRK), according to a statement April 22, 2017 from the Information Bureau of China's Ministry of National Defense. The remarks were made in response to media reports of China mobilizing air force bombers and on "high alert" of the tension over the Korean Peninsula. "The reports are not true," said the statement. An editorial in China’s state-run Global Times 25 April 2017 claimed “The game of chicken between Washington and Pyongyang has come to a breaking point.... It is more likely than ever that the situation will cross the point of no return. All stakeholders will bear the consequences, with Pyongyang sure to suffer the greatest losses.... Once the US launched surgical strikes against North Korea's nuclear and missile facilities, the Pyongyang regime will be forced to make a life-or-death decision. By then, if North Korea does not resort to strategic retaliation, its deterrence will lose ground and Washington will play it like a fiddle." China announced 27 April 2017 it would conduct live-fire drills and test new weapons to counter the THAAD anti-missile defense system the US was deploying in South Korea. Yang Yujun, a spokesperson of China's Ministry of National Defense, said at a monthly press briefing that given the deployment of the Terminal High Altitude Area Defense (THAAD) during the complicated and sensitive situation on the Korean Peninsula, the Chinese military will continue to conduct targeted live-fire drills and put new weapons and military equipment through a combat test to safeguard China's security and regional stability. The military drills will mainly involve the People's Liberation Army (PLA) Air Force and the Rocket Force and simulate counterattack scenarios against the threat of THAAD, said Song Zhongping, a military expert who used to serve in the PLA Rocket Force. Song said the drills will simulate two situations: first, how to move stealthily without being detected by the THAAD radar; and second, how to launch a preemptive strike to remove the threat of THAAD in a war scenario using anti-radiation missiles, surface-to-surface missiles or cruise missiles. 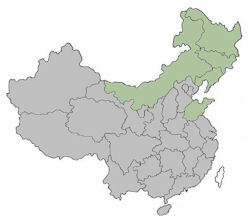 The five theater commands, which are identified by their strategic locations in east, south, west, north and central China, base their army headquarters in Fuzhou, Fujian Province; Nanning, Guangxi Zhuang Autonomous Region; Lanzhou, Gansu Province; Jinan, Shandong Province and Shijiazhuang, Hebei Province, respectively. The five replaced the former seven military area commands in Beijing, Nanjing, Chengdu, Ji'nan, Shenyang, Lanzhou and Guangzhou as of early 2016. Infrastructure, including communication facilities in the previous seven military area commands, has been taken into consideration for the locations of the headquarters, so that follow-up work on military reform could start as soon as possible. China's Ministry of National Defense (MND) held a special press conference in Beijing on February 1, 2016, at which the Defense Ministry spokesman Yang Yujun answered journalists' questions about the adjustment and establishment of the theater commands. The new system separates the combat and construction or logistic missions. The theater commands will focus on engagement, while the PLA army, navy and air force will focus on developing their respective forces, said the source. All five commands are expected to have their own army and air force, while naval forces are not likely to be deployed by all five commands. There's no need to build a temporary command system when war erupts, as the joint operations of each theater command will suffice, which is also helpful for troops to successfully fulfill their training and mission, said the source. The five commands will only deploy their own force against security threats, and they need to report to the CMC for additional support.